Browse: Home / 2016 / April / 20 / Mahtomedi Go Round! 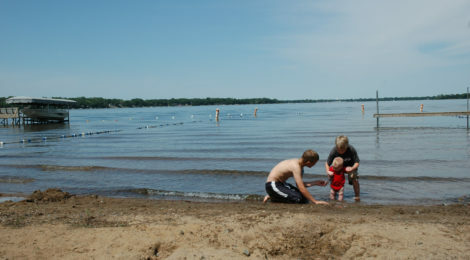 From Chautauqua Beach to Katherine Abbott to Wedgewood Park, our community has an abundance of outdoor recreational and historic resources — scattered like pearls here and there around Mahtomedi and Willernie. Now, thanks to longtime resident and MAGI member Steve Wolgamot, those pearls have been strung together into a scenic 10-mile route that connects them using nearly every trail and path in the community. Known as Mahtomedi Go Round, the ad hoc biking and walking trail forms a Figure 8 with north and south loops of 5 miles each. Steve designed the route to minimize on-street travel and the need to cross main roads. Steve will have maps of the route, along with information on landmarks and sights along the way, available at our community’s RITE of Spring Earth Day celebration April 23. Weather permitting, volunteers will lead walking tours of the north loop and south loop and a bike tour of the entire route that afternoon. To learn more, stop by the Mahtomedi Go Round! Table at RITE of Spring. Meanwhile, feel free to try Mahtomedi Go Round on your own schedule using the Mahtomedi-Go-Round Map and Mahtomedi Go-Round Walking Guide.